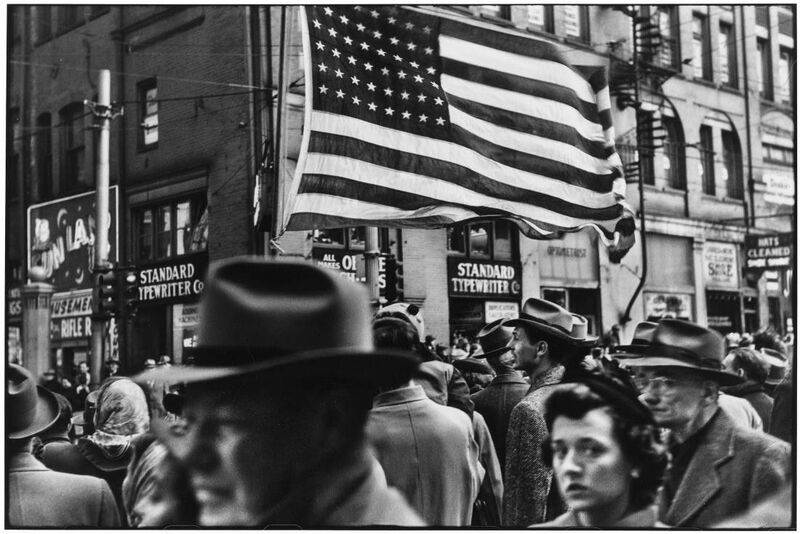 Elliott Erwitt, Crowd at Armistice Day Parade, Pittsburgh, PA, November 1950. © Elliott Erwitt/ Magnum Photos, Courtesy of Carnegie Library of Pittsburgh. ​In 1950 Elliott Erwitt, then just twenty-two years old, set out to capture Pittsburgh’s transformation from an industrial city into a modern metropolis. Commissioned by Roy Stryker, the mastermind behind the large-scale documentary photography projects launched by the US government during the Great Depression, Erwitt shot hundreds of frames. His images recorded the city’s communities against the backdrop of urban change, highlighting his quiet observations with the playful wit that has defined his style for over five decades. After only four months, Erwitt was drafted into the army and sent to Germany, leaving his negatives behind in Stryker’s Pittsburgh Photographic Library. The negatives remained at the Pennsylvania Department of the Carnegie Library of Pittsburgh for decades. This exhibition, organized by Assistant Curator Claartje van Dijk in association with the photographer, will present these images in the United States for the first time.